In a saucepan, cook minced garlic in a small amount of the crushed tomatoes for about 1 minute over medium heat. Add all other ingredients and simmer (covered) for about 15-20 minutes. 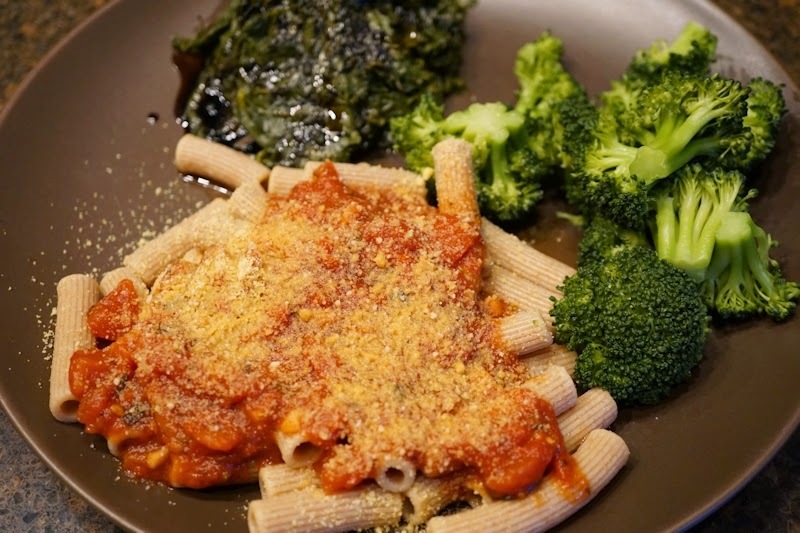 Serve over whole grain pasta with vegan parmesan cheese and sides of green veggies.